We don’t just talk about quality. We prove it with consistent quality products order after order and back it up with our superior service. SECO-LARM's quality control management system is compliant with all the requirements of the International Organization for Standardization (ISO), the accepted measure of quality worldwide. SECO-LARM initially earned ISO 9002:1994 in 1997 and upgraded its certification to ISO 9001:2008 in May, 2009. ISO 9001:2008 is not just another quality control theory. Instead, SECO-LARM's entire manufacturing and design process was probed in great detail by an independent quality system certification body, and was found compliant with internationally accepted quality standards. A quality management system certified as ISO 9001:2008 compliant ensures that SECO-LARM® can deliver products that meet your quality requirements time and time again. 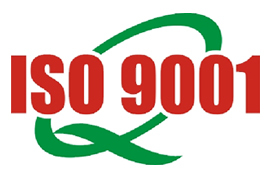 ISO 9001:2008 means world-class quality management from a world-class security manufacturer.